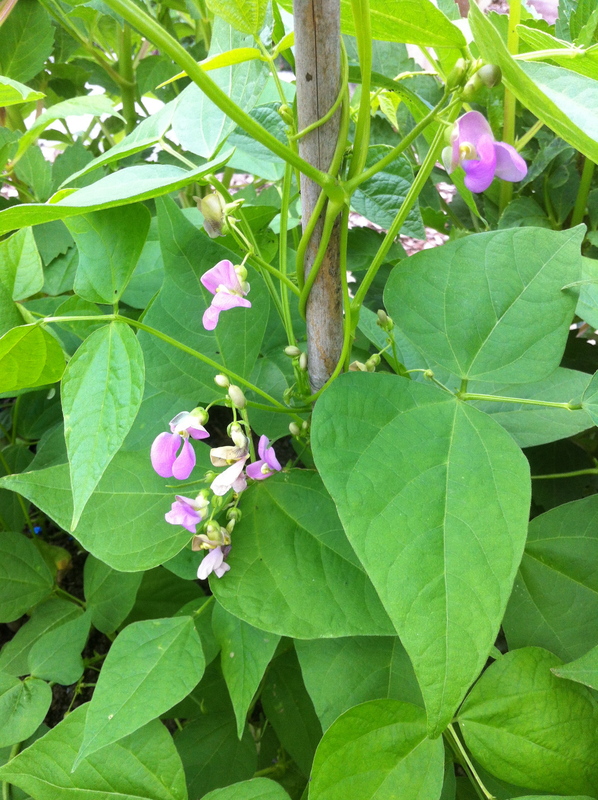 Our success with climbing beans has been mixed to say the least. Limited germination from those sown in the greenhouse and virtually no germination from those sown direct. Thinking about all the things that might have gone wrong, this year I decided to try something different. Three beans in a peat pot with multi purpose compost and then the peat pot in the ground, one pot for each cane. It worked. Put in the ground mid April all the pots germinated and this week we have beans. One row of canes are variety Fasold and the other Blue Lake. 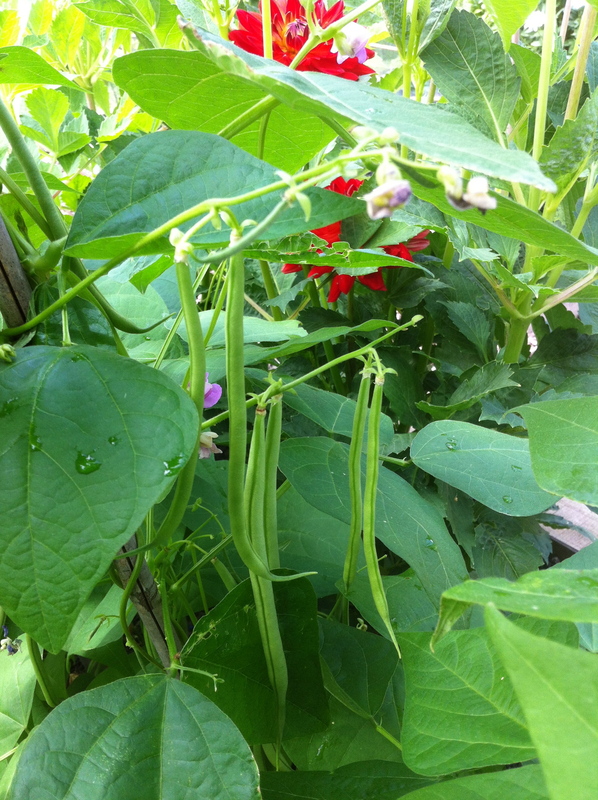 I don’t like runner beans which seem to be the allotment staple so am really pleased with these. We’ve tried several varieties over the last couple of years and they’ve done nothing I wonder if it’s our soil?